There is one date each year when the penultimate and the ultimate come together. 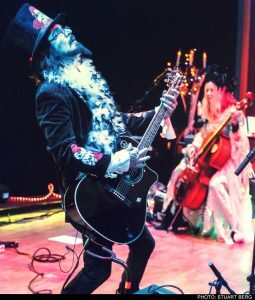 Once the calendar year starts, area music fans have to wait until the very end of the year to enjoy what ultimately is one of the best shows of the year – to wait until the final full night of the year – to wait until the penultimate date for a special concert presentation by the Slambovian Circus of Dreams. But the wait is always worth it. Some bands have a tradition of performing a New Year’s Eve show each year at the same venue. The Slambovian Circus of Dreams has a similar yet very different tradition. Each year, the band treats area fans to a New Year’s Eve Eve show at the World Café Live (3025 Walnut Street, Philadelphia, 215-222-1400, www.worldcafelive.com). “We just did six of our Christmas shows (“A Very Slambovian Christmas”) this week,” said Lloyd, during a phone interview Thursday afternoon from the couple’s home along the Hudson River north of New York City. “We just got back from Utica yesterday. A year ago, Longo talked about his connection with a few Canadian producers/musicians. “Dio Tadin, a deep fan of ours from Canada, has been bugging us to come up to his studio in Ontario to do some recording,” said Longo. “Me and Tink went up and recorded eight killer vocal tracks. Then, he came down here and did some more recording of Tink’s vocal parts. Longo is still working on a new Slambovian Circus of Dreams album. The Slambovians’ line-up has been stable for years and the band just keeps getting tighter. 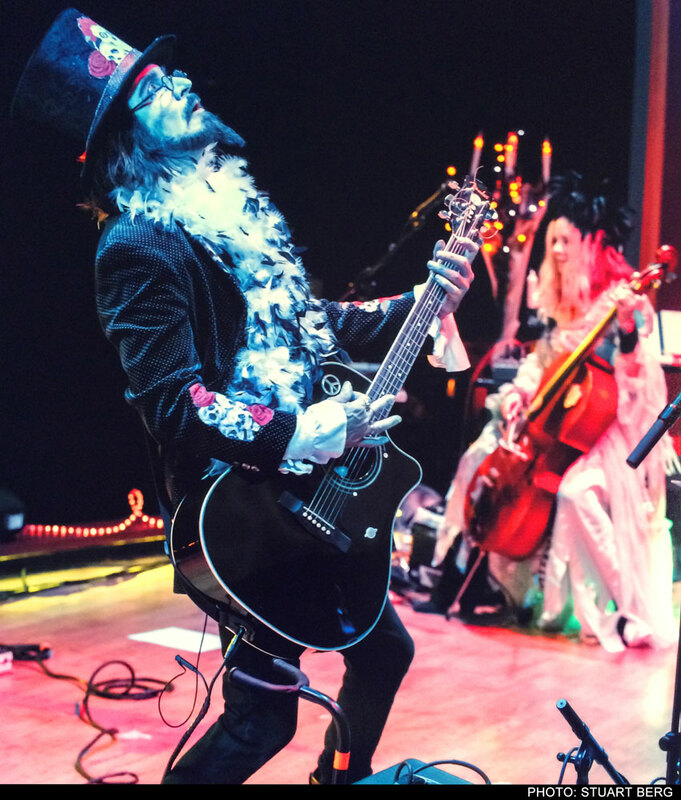 The Slambovian Circus of Dreams has its roots in another New York band. “We were in a group called The Ancestors in New York,” said Longo. “Eddie Kramer, who was the Stones’ engineer and producer, did an album with us. That brought everybody around to see us play. We were doing really well. One time, we played Carnegie Hall and CBGBs the same night. They found a niche and they found a new name — Gandalf Murphy and The Slambovian Circus of Dreams. The band always approaches its New Year’s Eve Eve show in Philly as something special. “I’m a South Philly boy and all my South Philly people bring umbrellas and dance like jellyfish,” said Longo. “Coming back to Philly means a lot to me because it’s the place where I was born. It’s a great way to end the year. We’re all trying to find our best self. New Year’s is an analysis of what we want to be – where are we going to go this year. Let’s unravel everything we know and get back to feeling for each other. Let’s get in a room and escape what other people call reality – even though it’s not real reality. Real reality is love, unity and friendship. Video link for the Slambovian Circus of Dreams – https://youtu.be/pErRR026vz8. The show at the World Café Live will start at 8 p.m. Tickets are $24 in advance and $27 night of show. Other upcoming shows at the World Café Live are Barber Acoustic on December 27, Margo Price and Lilly Hiatt on December 28, A Dickens Of A Murder Mystery Dinner on December 29,and Start Making Sense on December 31. If you have any lingering lethargy from holiday celebrations, a good way to shake it off is to attend Doyle’s “As We Die World Abomination Tour 2018” when it touches down on December 27 at the Foundry at Fillmore Philadelphia (1100 Canal Street, Philadelphia, 215-309-0150, www.thefillmorephilly.com ) . 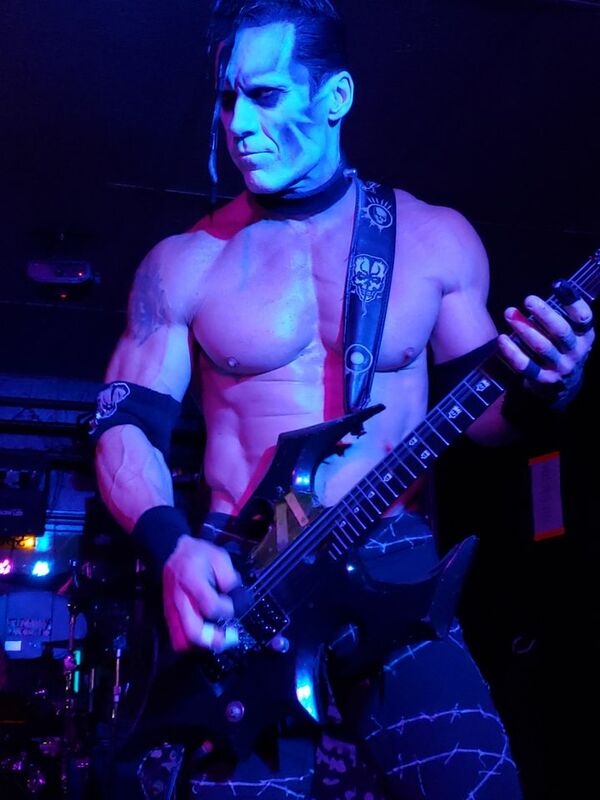 Misfits Legendary guitarist Doyle Wolfgang Von Frankenstein released his second solo album “As We Die” just over a year ago on EMP Label Group/Monsterman Records. 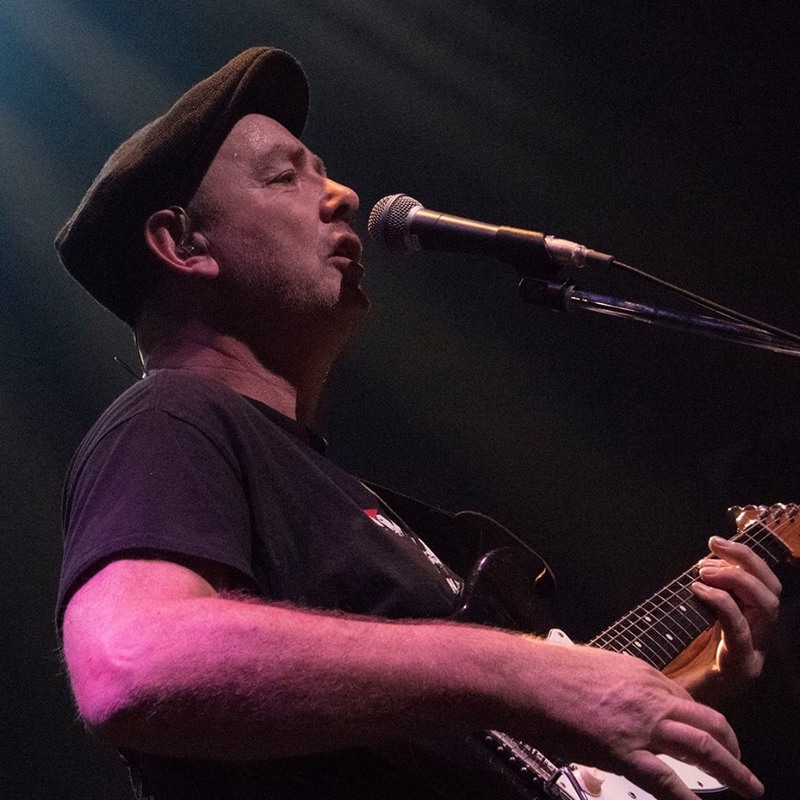 “I’m already working on new stuff,” said Doyle, during a recent phone interview as he travelled to a gig in Seattle, Washington. “I’m working on new stuff every time I pick up the guitar. But, I haven’t been doing any recording. I’m always writing but I haven’t been in the studio at all. 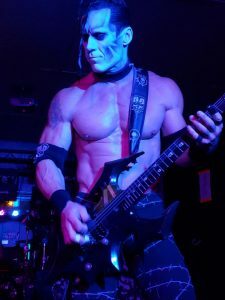 Both Doyle’s solo albums – “As We Die” and “Abominator” — are sonically-thick and lyrically-evil slabs of horror-punk metal that finds him expanding in a logical progression upon the genre of music he helped create. Recording both guitar and bass tracks for the albums, the unmistakable sound of Doyle’s signature Annihilator guitar cuts through on every tune. While the horror punk vibe of The Misfits does permeate the album, the guitar work on “Abominator” and “As We Die” is more technical than your average punk rock record. “To me, both albums were made at the same time so they’re the same album,” said Doyle. “In my live show, I’m doing stuff from both albums because they are the same. Doyle’s shows are not for the timid. “The show always has a lot of intensity,” said Doyle. “I keep it at a very high level. It’s a hard job. We work really long, hard hours. I just keep writing and writing every time I pick up my guitar. Video link for Doyle – https://youtu.be/S5-j82QECj4. The show at the Foundry, which also features Wolves Attack!!! and They Call Us Death, will start at 8 p.m. Tickets are $17. Other show this week at the Foundry are Mr. Brightside on December 28, Armani White on December 29, and “New Queers’ Eve Party” on December 31. On December 28, another hard-touring rocker will perform in the area when the Sellersville Theater (24 West Temple Avenue, Sellersville, 215-257-5808, www.st94.com) hosts a show by Popa Chubby. 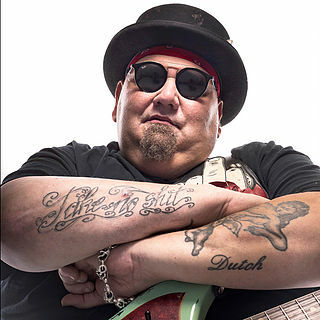 With a career spanning nearly 30 years, Popa Chubby has delivered a hand-picked anthology of 15 tracks from his prolific and ever-expanding catalogue. “Prime Cuts” reflects Popa’s choice of the best of his best — tracks that keep the Chubby legacy fresh and the fans happy. “I went all the way back and picked the best stuff from my last 38 records,” said Popa Chubby, during a phone interview Tuesday from his home in New York’s Hudson Valley. “There were two criteria. First, I had to really like the song. Second, it had to be music the fans request. A lot of it was easy. A a lot came down to the fans – ‘Sweet Goddess of Love and Beer,’ ‘Angel on My Shoulder,’ ‘Light of Day’ – give the people what they want. Popa Chubby’s last two studio albums were “The Catfish” in 2016 and “Two Dogs” in 2017. “I never stop recording,” said Popa Chubby. “I recorded ‘Two Dogs’ right after I finished making ‘The Catfish.’ I’m working on my next album now. This is the time of year when I’m home and can get recording work done. “I have a studio in my home. For D.I.Y. stuff, I use ProTools. My studio is filled with vintage stuff – RCA mics, old compressors and vintage guitars and drums. “I have a background in recording. I worked as an engineer and I started out working with tape. It’s all digital now — but I have an analog way of getting in and an analog way of getting out. Finding time to get in the studio is a luxury for Popa Chubby. “I’m never home,” said Popa Chubby. “It seems that I’m always touring a lot. The progression of my career has been slow and steady. I like to give people real music. The best music for me comes from not making music. It comes from me jamming with myself.” Video link for Popa Chubby — https://youtu.be/r3ledCIoXH8. The show at the Sellersville Theatre will start at 7:30 p.m. Tickets are $25 and $39.50. Other upcoming shows at the Sellersville Theatre are Lotus Land on December 27, The Cast of Beatlemania on December 29, Live Wire on December 30, and Dr. K’s Motown Revue on December 31. Kennett Flash (102 Sycamore Alley, Kennett Square, 484-732-8295, http://www.kennettflash.org) will have Francis Dunnery (Solo) on December 28, “An Intimate Evening with Bettye LaVette” featuring Evan Mercer on keyboards on December 29, “Films & Words – Lambert & Stamp” with guest lecture by Bill Luther on December 30, and Jeffrey Gaines on December 31. The Steel City Coffee House (203 Bridge Street, Phoenixville, 610-933-4043, www.steelcitycoffeehouse.com) will present “Open Mic Night” on December 27 and Lift Street on December 29. Chaplin’s (66 North Main Street, Spring City, 610-792-4110, http://chaplinslive.com) will host The POF, Big Boy Brass and Joel Keeley on December 28 and CPTime, Dre Carter and Jesse Be on December 29. The Ardmore Music Hall (23 East Lancaster Avenue, Ardmore, 610-649-8389, www.ardmoremusic.com) will host Ghostface Killah on December 28, Everyone Orchestra on December 29, Pink Talking Phish on December 30, Family Jam with Alex & The Kaleidoscope on December 31 (10:30 a.m.), and Splintered Sunlight/Swift Technique on December 31. The Keswick Theater (291 N. Keswick Avenue, Glenside, 215-572-7650, www.keswicktheatre.com) presents Chrisette Michele on December 27, David Uosikkinen’s In The Pocket on December 28, The Genesis Show on December 29, and “The First Night of Funny” on December 31. The Grand Opera House (818 North Market Street, Wilmington, Delaware, 302-652-5577, www.thegrandwilmington.org) will present Delbert McClinton on December 28. The Locks at Sona (4417 Main Street, Manayunk, 484- 273-0481, sonapub.com) will have David Wax Museum (duo) on December 27, Billy Price on December 28, The John Bryne Band plays the music of Shane McGowan and The Pogues on December 29 and Joseph Arthur on December 30. Rrazz Room (6426 Lower York Road, New Hope, 888-596-1027, www.TheRrazzRoom.com) will present Poppy Champlin & Karen Williams – “The Queer Queens of Comedy” on December 31.